Two years ago in his State of the Union address, Barack Obama called out the Supreme Court of the United States for its ruling in the Citizens United case involving campaign financing. In retrospect, not only was the president right on the substance of his criticism of the Court – Obama did teach at one of the country’s great law schools – but he had the guts to deliver his critique right to the faces of those in the black robes who hold so much sway over the policy and priorities of American life. It was hardly an unprecedented attack, either, particularly in the context of an anniversary of, what I would argue, was a defining moment in the evolution of the modern U.S. Supreme Court. Just over 75 years ago – February 5, 1937 to be precise – the president to whom Obama is so often compared and contrasted, Franklin D. Roosevelt, took a decidedly different tack with the high court he took issue with. FDR didn’t just criticize the justices, although he certainly did criticize, he attempted – and came reasonably close to succeeding – to fundamentally remaking the Court in his more liberal image. Roosevelt’s “court packing scheme,” as it quickly became known, turned out to be his greatest single blunder as president. It also presented the country with the greatest Constitutional crisis since the Civil War. Now, with the Supreme Court poised to hear, in unusual detail, the arguments for and against Obama’s health insurance reform initiative – the Affordable Care Act – it’s worth reflecting on the history of the court over the last 75 years and considering what might have been and what has become. The normally surefooted Franklin Roosevelt made misstep after misstep with his plan to enlarge the Court in 1937 and when his efforts at a judicial power grab finally ended he reaped the political whirlwind. Never before, after the court packing fiasco, would Roosevelt command a working majority in the Congress for his domestic agenda. With one ill-considered move, FDR squandered his massive 1936 re-election mandate – Democrats held 76 seats in the Senate after that election – he shattered the myth that he was politically invincible and, it seems, Roosevelt forever took off the policy table any effort by any president to “reform” the nation’s highest court. Roosevelt’s tools in attempting to enlarge the Court were secrecy and subterfuge and each got him in trouble. With the encouragement of his Attorney General, Homer Cummings, FDR hatched a secret scheme to add one additional justice to the Supreme Court for each justice over 70 who refused to retire. He consulted with no one on the idea except his politically tone deaf attorney general and then sprung the idea on unsuspecting Congressional allies. They were first stunned and then outraged. Roosevelt compounded his “born in secrecy” problem by dissembling about the real reasons behind his proposal. 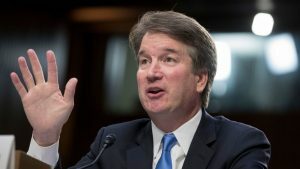 Clearly he wanted to liberalize a court that had come to be dominated by former corporate lawyers and Republican appointees, but he let Cummings peddle the fiction that he was trying to improve the Court’s efficiency. The “nine old men” on the Court had fallen behind in their work, it was alleged. That argument never gained traction and simply wasn’t true. Had Congress adopted his audacious idea, Roosevelt could have immediately added six new justices to the Supreme Court, as well as a slew of other federal judges. The Supreme Court would have gone from nine members to 15 and, of course, the president would have the chance to appoint justices who held out the prospect of liberalizing the Court that had shot down so many of Roosevelt’s New Deal initiatives. In a rare rebuff for Roosevelt, the Congress simply wouldn’t buy his court packing. Republicans, of course, rebelled, but so did many Democrats. Montana liberal Burton K. Wheeler, a fierce foe of concentrated power in government or the economy, was chosen to lead the Senate opponents of FDR. Ironically, Wheeler had been among the very first to encourage Roosevelt to seek the presidency having publicly done so in 1930. By 1937 Wheeler had enough of what he saw as Roosevelt’s accumulation of personal power and made common cause with Republicans like Idaho’s William E. Borah and Oregon’s Charles L. McNary to battle the president. 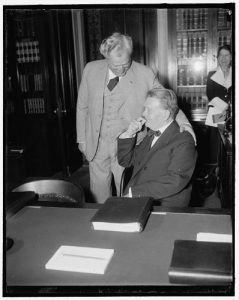 As the battle was fully joined in the summer of 1937, Wheeler collaborated with Justice Louis Brandeis, ironically the greatest liberal on the Court, to obtain a letter from the patrician Chief Justice Charles Evans Hughes. Hughes’ letter, quickly drafted over the weekend prior to Wheeler’s Senate committee testimony, completely demolished FDR”s argument that the Court was behind in its work. Borah further complicated Roosevelt’s plans when he prevailed upon his neighbor, Justice Willis Van Devanter, one of the most conservative members of the Court, to strategically announce his retirement to coincide with the release of the Hughes letter. The combination was a classic political one-two punch, but Roosevelt still refused to compromise or fold. The American Bar Association opposed Roosevelt, as did most of the nation’s editorial pages. Still, through the hot summer of 1937, Roosevelt soldiered on with his proposal, driving an ever deeper wedge into the Democratic Party. Roosevelt was offered a compromise. If he backed off, one or two additional members of the Court would quickly retire and he could have his more liberal appointees. He refused. Seeking another route to compromise, some senators suggested the president might get two or three new seats rather than six. He refused. Even the 10-8 vote in the Senate Judiciary Committee against the president’s bill – the committee was dominated, of course, by Democrats – failed to move the president. Incidentally, Borah wrote much of the committee report; a report that has been characterized as one of the harshest denouncements of a presidential initiative in the history of the Senate. Ultimately, it took a dramatic Senate tragedy to bring an end to Franklin Roosevelt’s biggest blunder. FDR’s loyal lieutenant, Senate Majority Leader Joseph T. Robinson of Arkansas, while no fan of the court packing plan, still believed that loyalty to “the boss” demanded that he try to get something passed in the Senate. Robinson worked himself into a lather debating the court bill and managing the president’s expectations and in the stifling mid-July heat in Washington – the days before central air conditioning – the Majority Leader grew red in the face, announced he was done for the day and stormed off the Senate floor. Senator Royal Copeland of New York, a physician, had warned Robinson that he was working too hard and that no bill was worth killing himself over. Robinson retreated to his apartment close to the Supreme Court building to rest. On the morning of July 14, 1937, his maid found the gruff, but much respected and well-liked Senate leader, dressed in his pajamas and slumped on his bathroom floor. Robinson was dead of heart attack. Nearby he had dropped his copy of the Congressional Record. Robinson had been reading the debate over the court bill. Joe T’s death stunned the Capitol, in part because it was an open secret that FDR had promised the loyal Robinson the first vacancy on the Court, even though as a conservative southern Democrat Robinson was unlikely to become a liberalizing force on the Court. Senators took to calling Robinson, Mr. Justice, as they anticipated that any day FDR would name Joe to the high court. Roosevelt hesitated. Had he made that appointment it might well have paved the way for a compromise on the court bill, or at least presented the president with a face saving exit strategy. But Roosevelt took no action and, with Robinson dead, hard feelings toward the president grew even worse in the Senate. Wheeler even went so far as to claim God himself seemed opposed to packing the court. On the train that carried most of Robinson’s colleagues back from his funeral in Little Rock, Vice President John Nance Garner counted noses for the White House. When ol’ Cactus Jack arrived back in Washington he went directly to see Roosevelt and told him that he was beaten. The Senate when it voted, Garner said, would defeat Roosevelt’s plan to expand the Court. FDR was stunned. He continued until that moment to think that he could work his will on the Congress as he had so many times before. He reluctantly asked Garner to negotiate the best exit possible. Garner went to Wheeler’s office in what is now the Russell Senate Office Building and told the Montanan that he “could write his own ticket” with regard to the court bill. As legend has it, the two old pols had a drink of bourbon and decided that the bill would be recommitted to the Judiciary Committee, in effect killing the proposal. Seventy senators eventually voted to recommit the court bill and Roosevelt had lost an epic battle over the Supreme Court. The whole contest had lasted for a mean 168 days. Had FDR been willing to compromise, even a little, he might have modestly enlarged the Supreme Court in 1937 and we can only speculate as to what the long-term impact of that political act might have been. 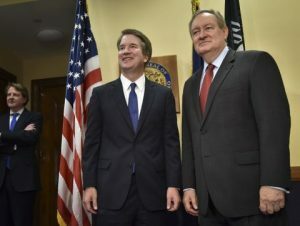 It seems safe to conclude that had a political compromise over the makeup of the Court occurred we would think somewhat differently about the Supreme Court today. Roosevelt would later argue that he lost a battle over the Court, but eventually won a war and there is truth in that statement. Alabama Sen. Hugo Black was soon appointed to fill Van Devanter’s seat. 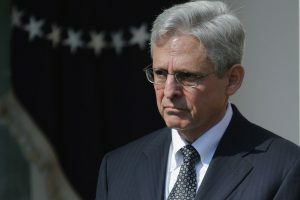 Black, it was widely noted, had supported the court packing legislation and opposed the vote to recommit in the Senate. Black turned out to be one of the Court’s great liberals and a staunch defender of civil liberties. In time, Roosevelt also appointed Justices like William O. Douglas and Felix Frankfurter, who helped define American jurisprudence until the time of the Ford Administration. Perhaps in an even more important way, Roosevelt’s efforts to expand the Supreme Court 75 years ago removed any possibility that any president could realistically hope to change the court simply because he disagreed with its rulings. It’s unthinkable today that a Roosevelt-like idea could be seriously considered. Instead, the fights over the direction and role of the Supreme Court are fought out each and ever time a president nominates a new justice. These confirmation fights, increasingly nasty and partisan, are still no where near as nasty as the 75 year ago fight over whether the Supreme Court would be fundamentally changed. It wasn’t as if Roosevelt hadn’t been warned. 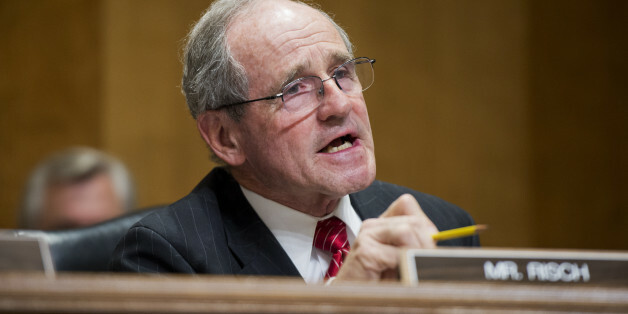 At one point Wheeler told the president that with many Americans the “Supreme Court is a religion,” and, Wheeler said, it is never smart to get in the middle of a religious fight. This much seems certain, when the current Supreme Court issues its decision on the health insurance reform law later this summer there will, no matter how the decision goes, both glee and gloom. Still, when the smoke clears, the country, the Congress and the president will accept the verdict of the Court. Some folks, grumbling all the way, will not like the verdict, but just like the controversial decision that ended the 2000 election – Bush v. Gore – we’ll grumble and move on. We don’t always like what we hear from the pulpit at church, but Burt Wheeler had it right in 1937. The Court may not always be right, but we accept the higher authority nevertheless. In a way, we can thank Franklin Roosevelt and his furious fight exactly 75 years ago for that now enduring feature of American political life. When the Obama Justice Department announced last week that it had asked the United States Supreme Court for an expedited review of the Affordable Care Act (ACA) – Obamacare, health care reform, etc. – the government’s lawyers confidentially predicted that the current court would uphold the law. In making that claim the Justice Department cited several precedents in our history where the Supreme Court has reviewed and upheld once controversial laws that have now become established features of American life. The Justice Department release represents more than a little wishful thinking and an even larger dose of selective historical memory. At least once before, in a case that has some striking parallels to what is unfolding with the Affordable Care Act, the Supreme Court considered and struck down major provisions of a Democratic administration’s domestic agenda. It happened in 1935 and the political fallout, the subsequent election campaign and the president’s policy response produced the greatest Constitutional confrontations since the Civil War. Franklin Roosevelt signed the National Industrial Recovery Act (NIRA) into law on June 16, 1933. The law created, among other things, the National Recovery Administration, symbolized by the “blue eagle” that appeared on signs in store windows, in propaganda-like newsreels and in vast demonstrations staged in major U.S. cities. The NIRA granted to the president vast powers – unprecedented really – to promulgate industrial codes of fair competition. The effect was to form industrial cartels that were not suppose to engage in price fixing, but came very close to doing just that, as well as turning the capitalist concept of competition on its head. The code provision had been controversial, particularly in the Senate, where some legislators who abhorred “monopoly” – senators like Borah of Idaho and Wheeler of Montana – were concerned the law essentially did violence to the Sherman Antitrust Act, a law on the book since 1890. The NIRA also established rights to collective bargaining, regulated working conditions and some wages and, in a separate section, created the Public Works Administration (PWA), the major infrastructure investment vehicle of the New Deal. There were many problems administering the complex NIRA and the inevitable legal challenges began almost immediately. Eventually on May 27, 1935, a unanimous U.S. Supreme Court ruled major parts of the NIRA unconstitutional. Roosevelt was stunned and outraged, even though FDR’s Justice Department, like Barack Obama’s Justice Department with the health care legislation, had tried to pick the case and the timing to take the issue to the nation’s highest court. Writing for a united Court, that like today’s Court frequently found itself sharply divided between conservatives and liberals, Chief Justice Charles Evans Hughes, zeroed in on Constitutional problems with two features of the law that FDR considered the centerpiece of the domestic agenda he hoped would lift the economy out of the Great Depression. Like the arguments around the Affordable Care Act, the issue in 1935 was the Commerce Clause of the Constitution. As Hughes wrote, “If the commerce clause were construed to reach all enterprises and transactions which could be said to have an indirect effect upon interstate commerce, the federal authority would embrace practically all the activities of the people, and the authority of the State over its domestic concerns would exist only by sufferance of the Federal Government.” Sounds a lot like the arguments over the health care bill’s individual mandate provision. The ruling in the Schechter Poultry Corporation case that brought down the NIRA is today generally considered a very narrow 1930’s interpretation of the Commerce Clause and FDR certainly thought so. He famously complained to a room full of reporters gathered in his office that the Supreme Court had adopted a “horse and buggy” view of the nation’s economy and particularly of interstate commerce. The Commerce Clause is at the heart of the ACA debate because critics charge a central federal government has no business mandating that individuals must purchase health insurance. We’ll see. It would be unfair to stretch the parallels between 1935 and 2011 too far and it is possible the Supreme Court my opt for an artful dodge to avoid deciding the health care case before next year’s election. It is also true that we live in vastly different times, although the politics around the Great Depression feel a good deal like the politics around the Great Recession. Since 1935, the Court has vastly expanded our understanding of what constitutes interstate commerce and the ruling Roosevelt disliked so much came more than a year before he sought re-election to a second term. Barack Obama, by contrast, may get his ruling on the Affordable Care Act smack dab in the middle of his re-election effort and, while the NIRA was controversial it had little of the polarizing political impact of health care. After his initial “horse and buggy” zinger had been delivered, Roosevelt generally avoided mentioning the Court, while he privately seethed about the “nine old men” who had dismantled his handiwork in the midst of a national economic crisis. Once safety re-elected in 1936 Roosevelt came down on the Court with a ton of bricks, serving up his ill-fated plan to “pack the court” by adding up to six new justices who would presumably liberalize a reactionary court. The Congress refused to go along with such an overreach and Roosevelt suffered a massive defeat right on the heels of winning a second term in a landslide. One way or the other, Obama looks to get his chance to be pleased or disappointed by the Supreme Court in the middle of a high stakes campaign season. Most Court analysts say they count four votes in favor of upholding the controversial law and four against. Obama may think about issuing a quick invitation for a golf game to Justice Anthony Kennedy. By all accounts he’ll decide the fate of the Affordable Care Act. There is one more historical footnote related to the 1935 case that, if he’s thought about it, might well give former law professor Obama some political heartburn. In 1935 the most liberal member of the Supreme Court was the venerated Justice Louis Brandeis, who history records as one of the all-time great justices. Roosevelt was stunned when the man he called “Isaiah” ruled against him.